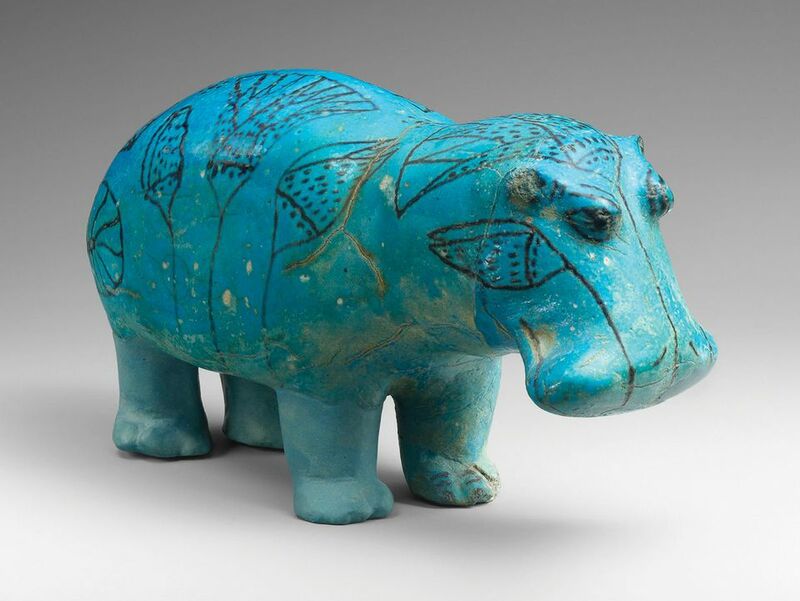 Long before Fiona the hippo (born this year at Cincinnati Zoo) won American hearts, New York’s Metropolitan Museum of Art acquired its unofficial mascot, William, a tiny faience hippo (1961-1878BC), from Middle Kingdom Egypt. This month, the Met is celebrating the 100th anniversary of William’s arrival, placing him in “conversation” in the Egyptian galleries with a larger earthenware hippo, made by the US ceramicist Carl Walters in 1936; the happy hippos are facing each other in two glass cases (until 1 April 2018). The Met is also hosting a celebration weekend (17-19 November), with a William-inspired cookie and cocktail.